Instances of fraud have become commonplace in many industries, and it’s costing organizations millions of dollars annually and placing corporate brands at risk. But despite significant investments in staff and anti-fraud software, new and emerging fraud threats keep slipping through undetected. Why? Because it’s too costly to keep anti-fraud software current. Paying a vendor to make software changes dramatically increases total cost of ownership. 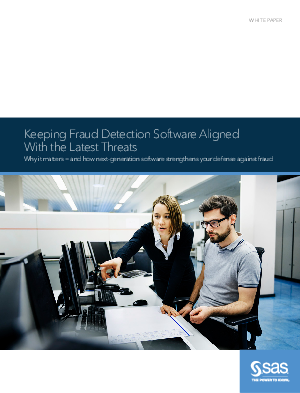 This paper discusses how SAS addresses this challenge with next-generation fraud solutions like SAS Visual Investigator, a cloud-ready investigation and incident management platform that end users can easily configure and adapt to detect new and evolving types of fraud.